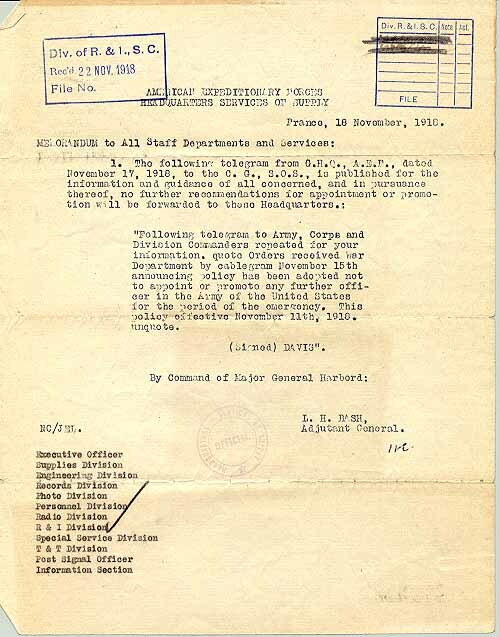 Armstrong was in process for promotion to the rank of Major when the Armistice was signed (November 11, 1918), freezing all officer promotions. 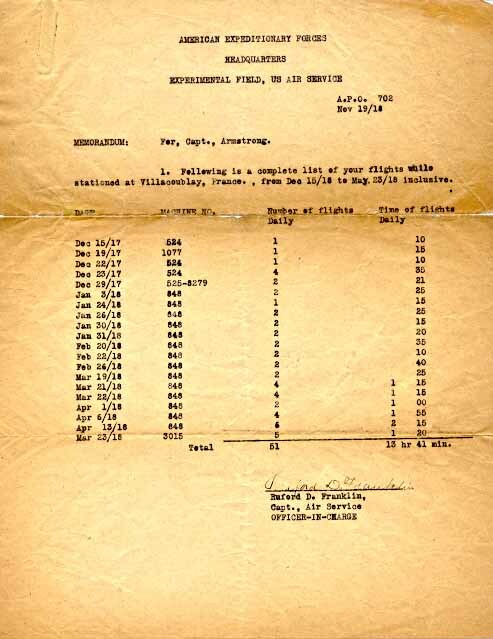 Record of flights taken by Armstrong while at Villacoublay, France, between December 15, 1917 and May 23, 1918. 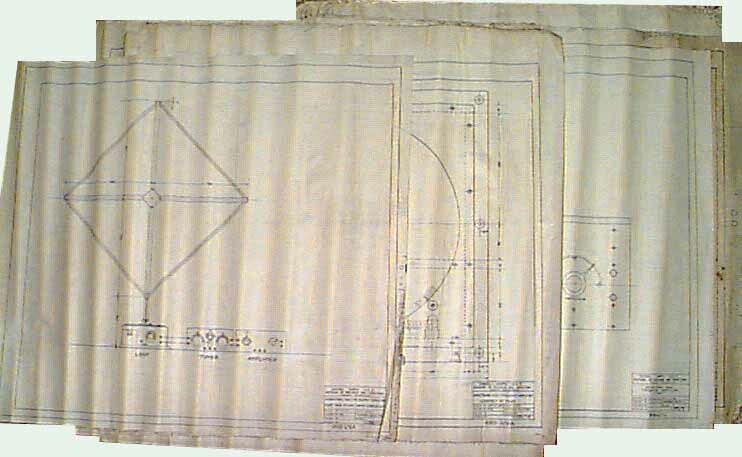 Original vellum drawings, by the R & I Division, of Armstrong's first and second superheterodyne receivers dated November and December 1918. These drawings show each component part in full detail, and show a loop antenna assembly that has never been seen on display with the sets. 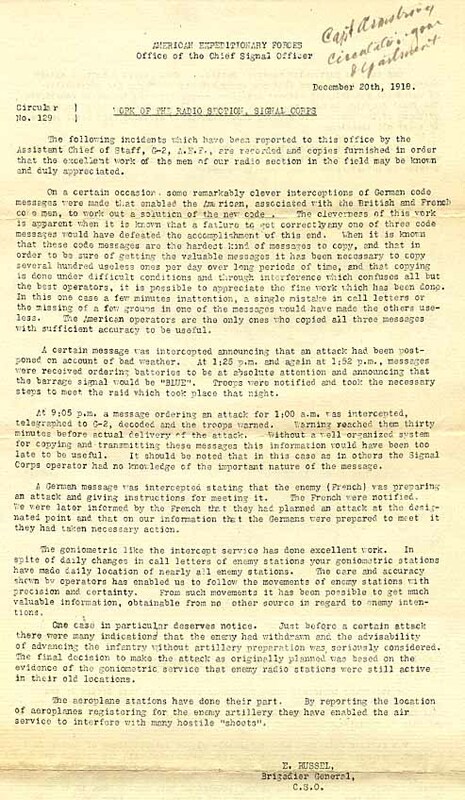 A description of some of the intercept work performed by the Radio Section.